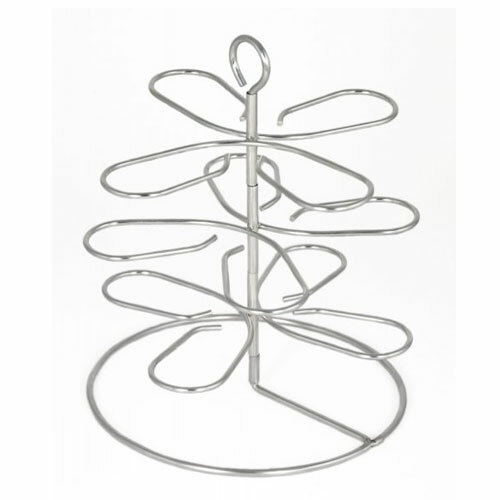 3-Tier Stainless Oyster Rack | Patio and Hearth Co. There is nothing like the high, dry heat of the grill to bring out the briny succulence of oysters, clams and mussels. The Charcoal Companion® 3-Tier Stainless Oyster Rack is designed to hold shellfish flat during grilling to keep succulent juices where they belong – in the shellfish, not on the coals. Take your oysters straight from grill to table for beautiful presentation at your next outdoor gathering. The rack can also be used to grill unforgettable hors d’oeuvres, like stuffed mushrooms or bell peppers. Holds twelve oysters. Dishwasher safe and can be disassembled for easy storage. Inquire about 3-Tier Stainless Oyster Rack using the form below.